Turns out the the Academy of Motion Picture Arts and Sciences people actually do stuff (or at least they used to) besides that shiny phallic statuette handout business. 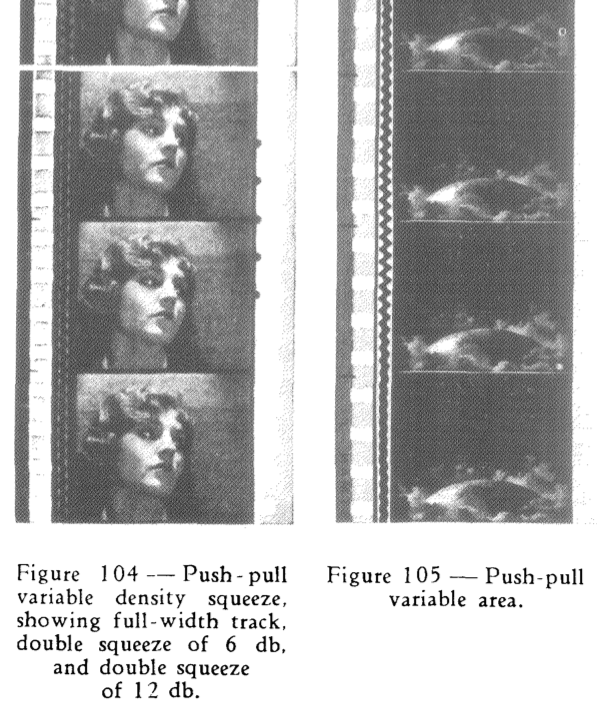 Their site has a really nicely scanned copy of the landmark 1938 book, Motion Picture Sound Engineering, available for a free download (44.1MB) from their site. This rather attractive looking 547 page tome has a lot of still-relevant info (provided you are a nerd who’s interested in sound engineering). A few of chapters were written by equalizer design pioneer Harry Kimball. 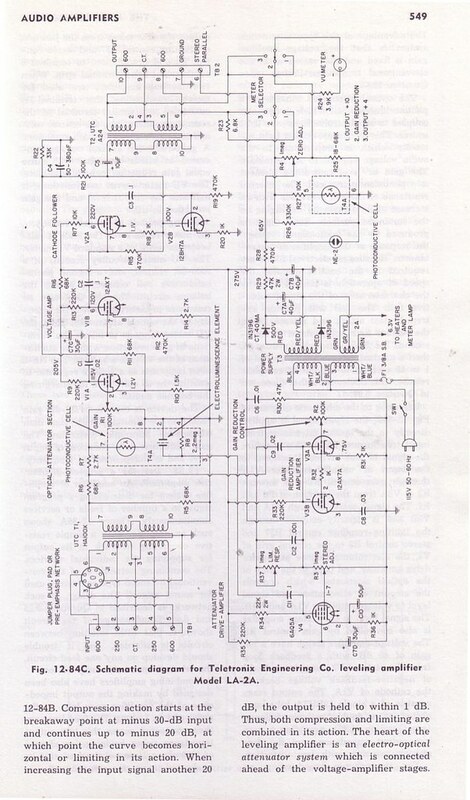 I wasn’t able to find any mention of compressors or limiters, it seems it was written right at the dawn of automatic gain controller technology. If you watched Geoff Frost’s mixer design lectures, he kept harkening back to the ’30s concepts; they’re all spelled out in this book. An AEG Magnetophone from 1935; by 1941 this Germany company would perfect the design and create the world's first high-fidelity tape recorder. I just finished reading Perfecting Sound Forever: An Aural History of Recorded Music by Greg Milner. (Here’s an excerpt of the book plus an NPR interview with the author). It’s a good book. The subject matter is fascinating and Milner clearly did tonnes of research. And it’s an even-handed treatment of the subject. If you already have firm opinions about the trajectory that recorded music has taken throughout history, the book isn’t going to change your mind. But I think it might help you realize why you think the way you do and also why you might prefer records from certain eras over others. I also give him bonus points for telling the real story of how tape multitrack recording was invented rather than parroting Les Paul’s self-aggrandizing fables (as most writers have done for the past 50+ years ). For more information, listen to this fascinating interview with the late Ross Synder, the real inventor of Sel-Sync—the technology that made multitracking practical. First, even with my humble understanding of electronics and music technology, I was able to spot a dozen-or-so technical errors. 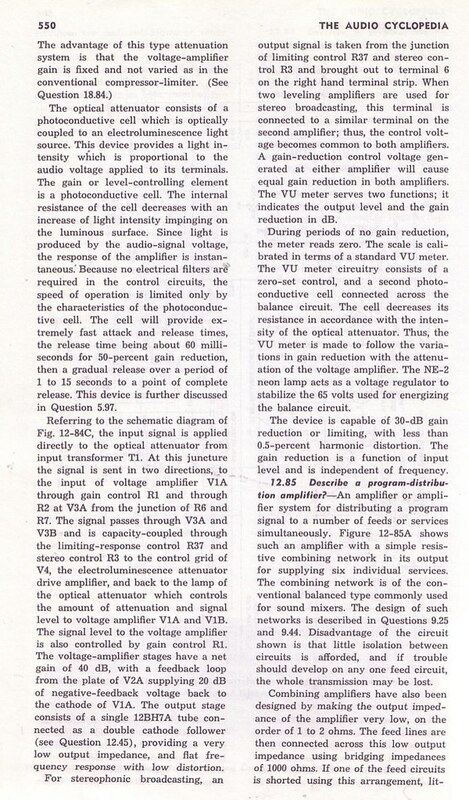 The explanation of the Sam Phillips/Sun Records tape echo technique on page 51 was wildly inaccurate. The author also repeatedly confused the concepts of bandwidth (i.e. 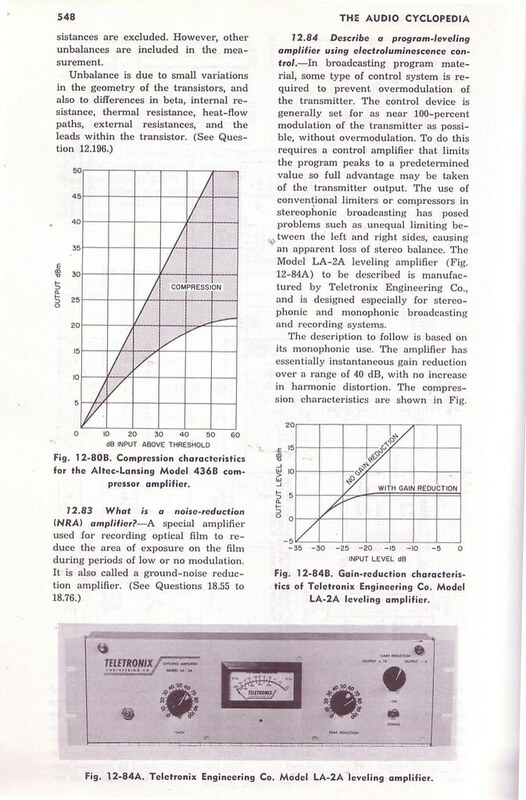 the range available frequencies) with dynamic range or signal-to-noise ratio. He also referred to the Audio Cyclopedia (much beloved in these parts) but misnamed it the Audio Encyclopedia. Maybe I’m being a bit unfair to Mr. Milner about his writing. I read the book right just after finishing Robert Caro’s magisterial and perfectly composed The Years of Lyndon Johnson: The Means of Ascent. 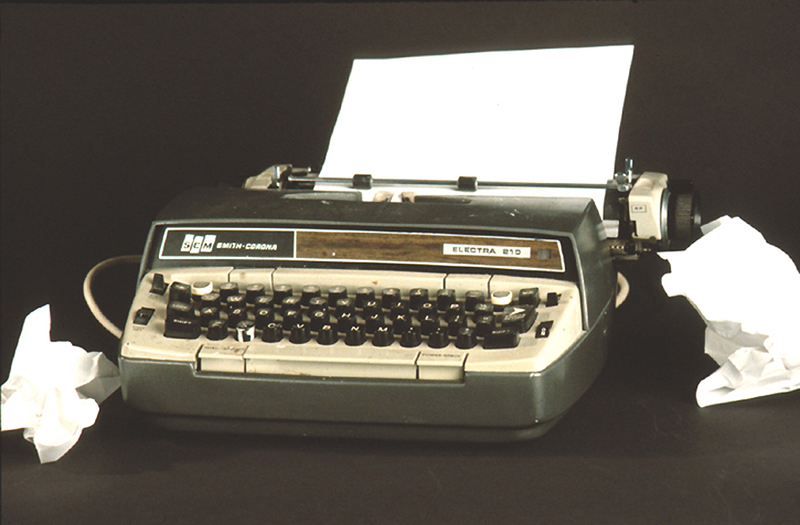 Not to put too fine a point on it, but Mr. Caro is thoroughly analogue in his approach: he doesn’t doesn’t even use a word processor, instead preferring to work first in longhand then on his trusty Smith-Corona Electra-210 typewriter. I imagine when he types a bad paragraph, the page gets violently crumpled up into a ball and thrown away. Consequently, he probably thinks a lot before he’s types. Whereas Milner, I suspect, writes the way just about everybody in the world does these days: endlessly copying and pasting, polishing up so-so ideas or dull images rather than deleting whole sections and starting anew. Maybe there is something destructive about the convenient non-destructive non-linear editing that sets word processors apart from typewriters (and that sets digital audio workstations like Pro Tools apart from tape machines). Oy that was bad tangent–so in conclusion, Perfecting Sound Forever is a fascinating read even if it could do with a better editor and a technical fact-checker. Recommended. 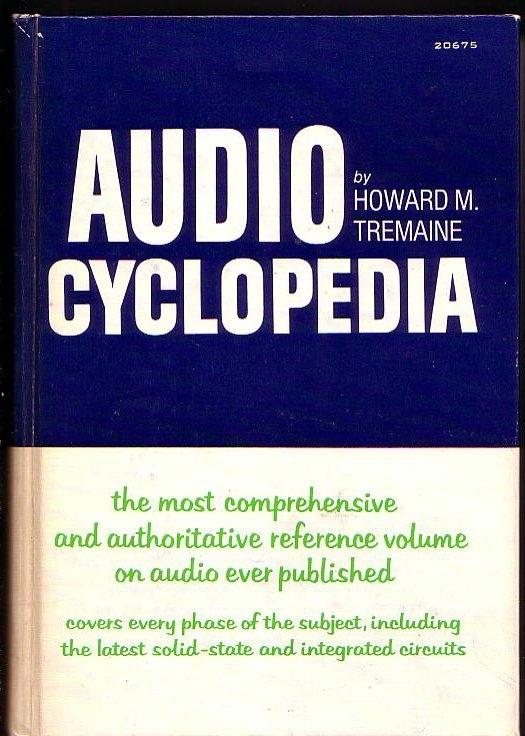 Howard Tremaine’s Audio Cyclopedia is the most useful technical reference book we’ve ever come across. 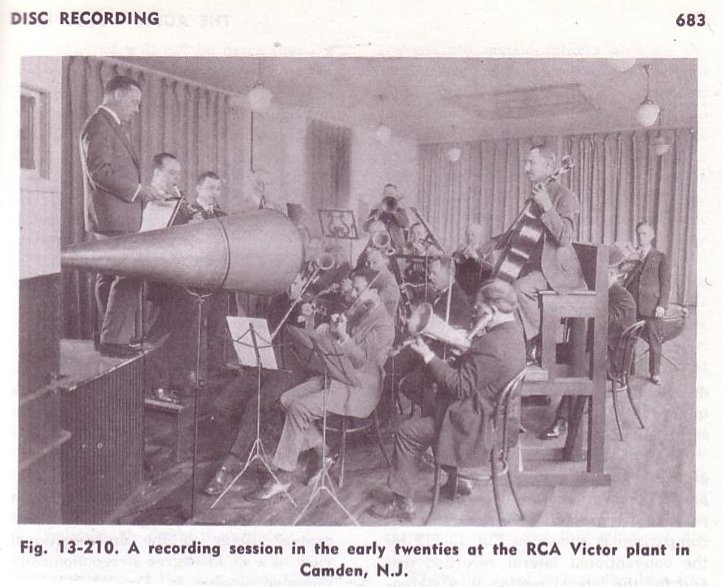 It’s really a must-read for anyone interested in old audio equipment and the history of sound recording technology. The format of the book is really cool: Tremaine starts each section with a basic question (eg “What is an Equalizer?”) and answers it with a clear concise definition, then he digs deeper with followup questions until you get into something very deep indeed (eg “Describe the four basic bridged-T equalizers most commonly used in audio work”). We have the second edition from 1969, finished shortly before the author died. 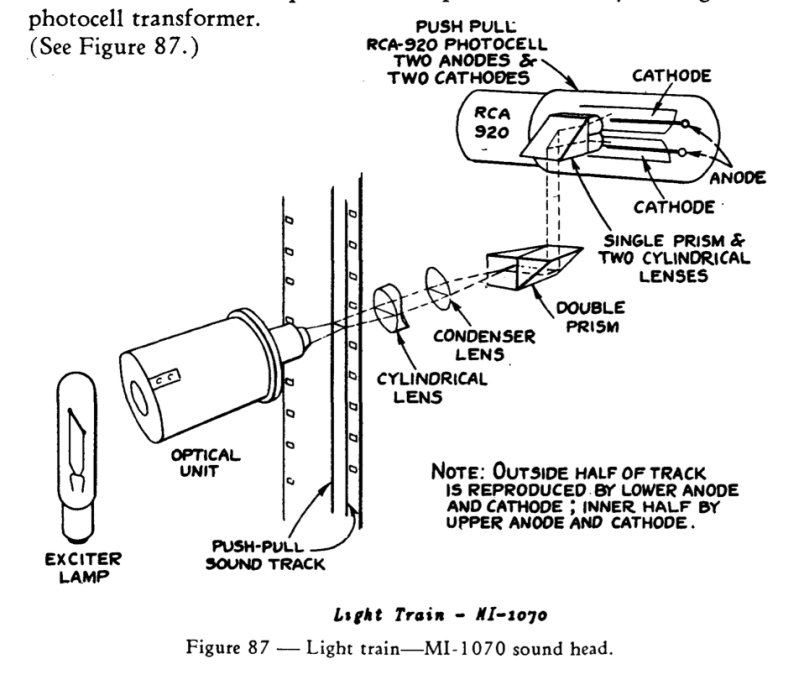 Its 1757 pages cover everything from the theory of acoustics to light-based optical film recording to various approaches to vinyl disc cutting. Sadly, the book is out of print and tends to be expensive at online used book stores–but I’ve noticed it does show up on eBay fairly frequently for next-to-nothing.